"I DON'T know much about classic music," Sandy Bates, Woody Allen's character in Stardust Memories noted. "For years I thought the Goldberg Variations were something Mr and Mrs Goldberg tried on their wedding night." Galwegians who share Allen's haziness on Bach's great work of 1741, have a chance to hear it when Mark Duley, organist of St Nicholas' Collegiate Church, founder-director of St Nicholas' Schola Cantorum, and artistic director of Resurgam, performs the variations as part of the Galway Jazz Festival. The work was originally written for harpsichord, but has since been transcribed for piano, guitars, synthesizer, string trio, and saxophone quartet, has been influential on jazz musicians as well as within the classical world, hence its inclusion in this year's jazz fest. 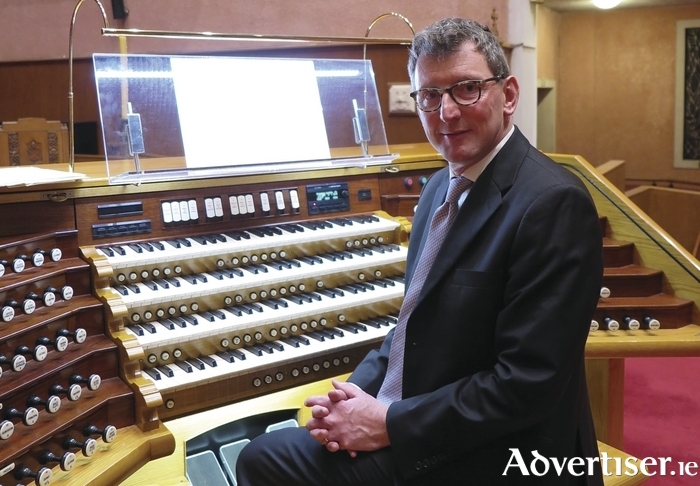 Duley was born in Hawkes Bay, New Zealand, and studied at Auckland University, the North German Organ Academy, and Amsterdam’s Sweelinck Conservatorium, where he was an organ pupil of Jacques van Oortmerssen. He came to Ireland in 1992 and has been organist and director of music at Christ Church Cathedral, Dublin; chorusmaster to the RTÉ Philharmonic Choir, and artistic director of the Irish Baroque Orchestra.